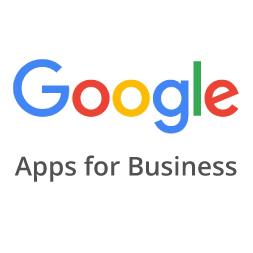 Use Google applications to improve business productivity. Google enterprise products make businesses and their users more productive by combining the ease of use of Google's consumer products with the features, security and support that a company or organization requires. This course will outline four features of Google’s enterprise products that are aimed at reducing costs and improving employee efficiency and productivity; Google Analytics, Google AdSense, Google Apps and Google Docs. Google AdSense is a program run by Google that allows publishers of websites to serve automatic text, image, video, and rich media adverts that are targeted to site content and audience. Google Apps offers powerful messaging and collaboration apps that meet business-critical needs, they are completely integrated online, which means you can access them from many different computers in many different areas. Google Docs is a free, Web-based office suite and data storage service offered by Google. It is a collection of applications that make it easier to produce the kinds of files commonly used in corporate environments: documents, spreadsheets and presentations. This course will be of great interest to all business professionals who want a greater understanding and knowledge of what Google applications have to offer business, and to all learners who would like to learn more about the power and versatility of various Google applications.